The mountains of western Canada are undoubtedly a sight to behold, but these peaks are hardly all that Canada has to offer. Head out east of the Rocky Mountains, and you’ll be greeted by vast lakes, magnificent wildlife, gourmet food and adrenaline-pumping adventures – some that can’t be found anywhere else in the country. Here’s a look at some of the most extraordinary experiences and things to do in Canada that you haven’t heard of yet. Ever wanted to experience life in the wild west? In Alberta’s countryside, you’ll come pretty darn close. Take a drive down the famous Cowboy Trail (Hwy 22) and visit an authentic dude ranch. 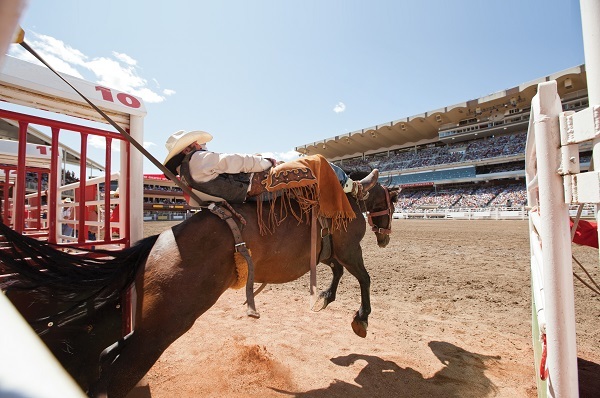 Learn how to work a lasso, saddle up a horse and try your hand at herding cattle. You might even learn a thing or two about boot-scooting while you’re at it. If you want to really get your heart racing, look no further than the Ottawa River. This stunning region is one of the top whitewater destinations in the world, and a handful of operators are ready and willing to take you down some of the river’s dramatic rapids. Join a rafting excursion to experience these turbulent waters for yourself or, if you’re up to the challenge, try your hand at whitewater kayaking. Algonquin Provincial Park is one of Canada’s best kept secrets. 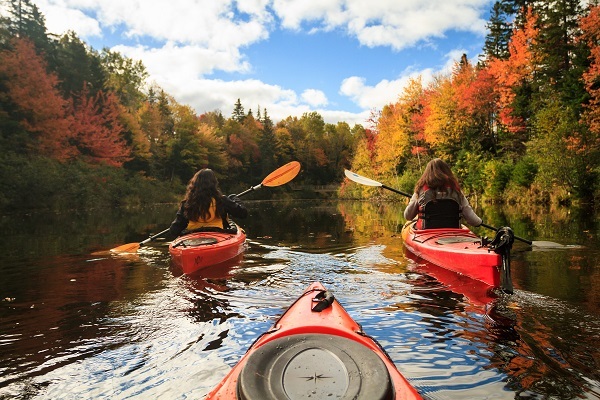 Located a three hours’ drive from Toronto, this park consists of more than 7,654 square kilometres of pure wilderness and offers 2,000 kilometres of canoeing routes and portages. If you’ve never tried portaging (carrying your canoe between navigable bodies of water), hire a guide and head out into the backcountry for a few days for a truly magical experience. Algonquin is also one of the best places in Canada to catch a glimpse of moose, with these goofy giants a common sight within the park. Don’t be surprised if you see more than one just taking a leisurely stroll alongside the highway. Every winter, the Rideau Canal in Ottawa freezes over, and at 7.8 kilometres in length, it becomes the world’s largest skating rink. While the canal is partly used as a means of transportation for locals, the Skateway, as it’s known, is also a hub of activity for those just wanting to get out on the ice. When you’re feeling chilly, stop in at one of the many stands along the canal selling hot soup, hot chocolate and other cosy offerings. 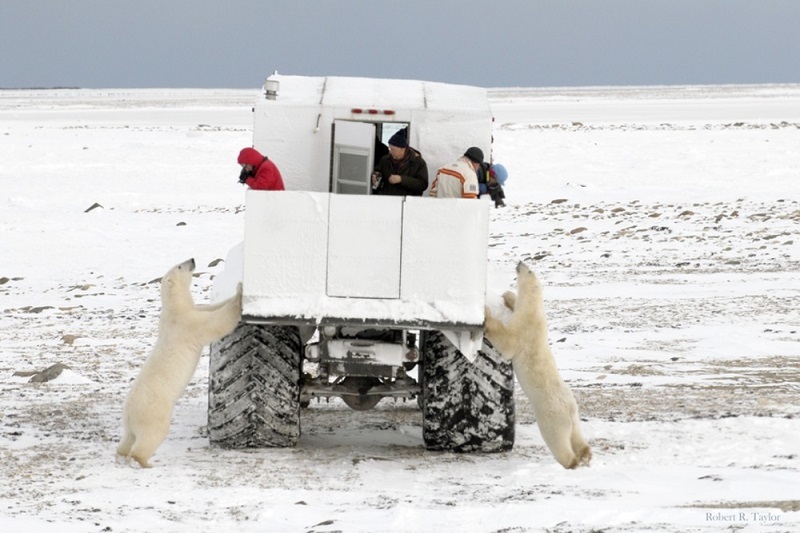 What experience says ‘winter’ more than witnessing a polar bear in the wild? Located on the edge of Hudson Bay in the province of Manitoba – a two-hour flight north of Winnipeg – Churchill is a small town that is home to about 800 people and 1,000 polar bears. Visit in October or November for your best chance of seeing one of these beautiful creatures; you can jump aboard a tundra vehicle, stay in a wilderness lodge or even canoe out into the Seal River. If you arrive a little later in the winter season, you might also be treated to a viewing of the Northern Lights. Great Canadian Travel Company; Robert Taylor. Supplied. Did you know that Canada boasts a flourishing wine industry? In the west you have the spectacular Okanagan region, and in the east, you have the Niagara Peninsula, which is located (you guessed it) just around the corner from the world-famous Niagara Falls. What makes the Canadian wine industry so unique is that it’s one the largest producers of ice wine in the world, alongside Germany. What is ice wine, you ask? A type of dessert wine produced from naturally frozen grapes. These grapes yield about one fifth of the juice you would get from an unfrozen grape. Visiting a few cellar doors to sample these wines for yourself should be on every wine lovers’ to-do list. When you’re looking for ideas on what to do in Montreal and you hear your stomach rumbling, look no further than getting your hands on a serve of poutine. Poutine is perhaps the most quintessential Canadian food you could try. 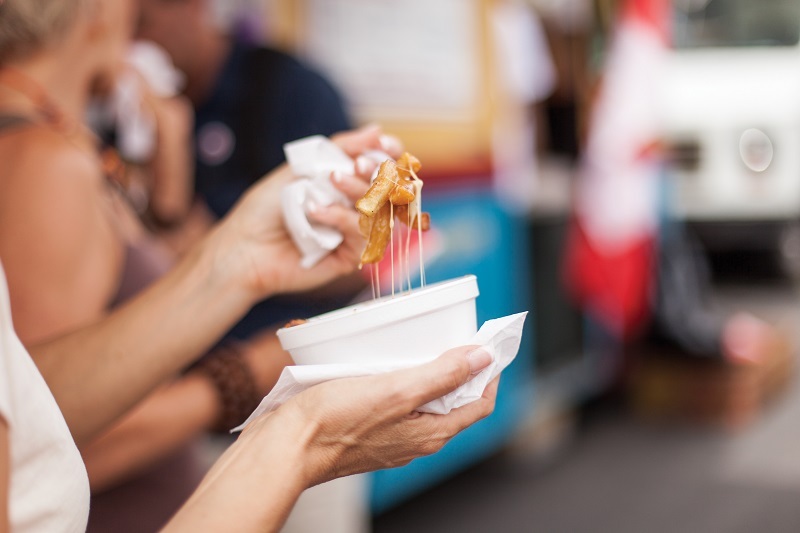 Made up of French fries, cheese curds and gravy, poutine truly originated in the province of Quebec – even though other provinces have since produced their own imitations. So, if you want to taste this nationally-celebrated concoction at its absolute finest, pop into any restaurant or public market in Montreal. Quebec City’s old town will have you feeling as though you’ve somehow travelled back to 17th century France. Encircled by 4.6 kilometres of fortifications that take about an hour to walk along in their entirety, the old town is the only walled city north of Mexico. Inside, you’ll find the fairytale-esque Château Frontenac, as well as cobblestoned streets, quaint courtyards and picturesque cafes and stores. Visit any time of the year, but Old Quebec is truly breathtaking in the wintertime. 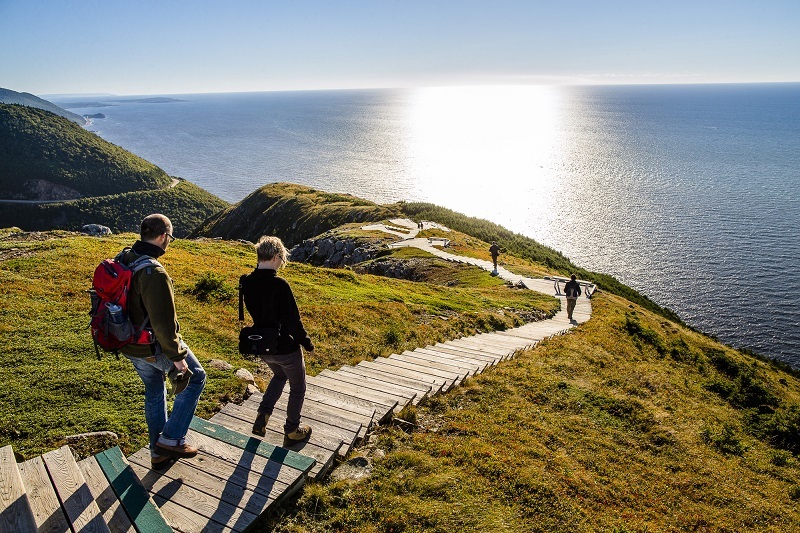 Sure, you could lap this 300-kilometre coastal road through the Cape Breton Highlands in a day, but where’s the fun in that? Dotted all along this famous route are quaint fishing villages, charming art galleries and incredible views of the Atlantic Ocean. Be sure to head out onto as many hiking trails as you can muster, including the glorious Skyline path. Cabot Trail, Nova Scotia. Supplied. Seafood doesn’t get much better than what’s served up in Nova Scotia. The capital city of Halifax, in the heart of the Maritimes, offers a veritable smorgasbord of fresh lobster, oysters, fish, scallops and more – not to mention the best seafood chowder you will possibly ever try. Grab some fish and chips and head down to the pier or stop in at one of the many fine restaurants serving the freshest catch of the day. Want to experience something truly out of the ordinary? Make your way as far east as you can go in Canada and take a look down Iceberg Alley. Stretching from the coast of Labrador to St. John’s on the southeast coast of Newfoundland, Iceberg Alley is the area where icebergs originating from the glaciers of Greenland float past Canada. 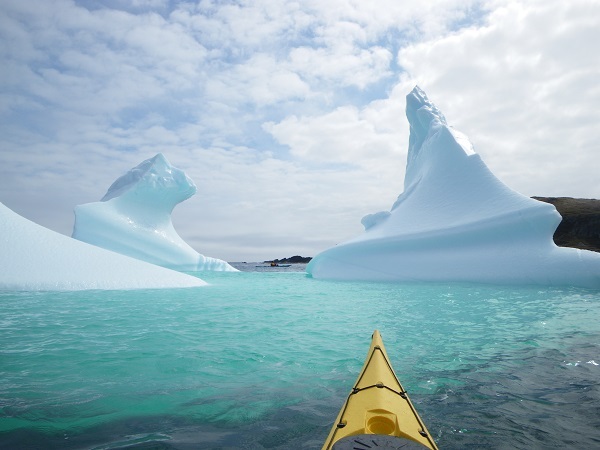 The icebergs come through from spring to early summer, with late May and early June typically the best time to visit the Canadian east coast. Whether you watch from a boat tour, a kayak or from land, these massive blocks of ice are downright impressive – and that’s even without seeing the 90% lurking beneath the ocean! Brought to you in partnership with Destination Canada.